My sister, Abby, was diagnosed with cancer as an infant in 2007 when I was 6 years old. We became involved with Smile-A-Mile the next year. SAM provides a rewarding opportunity to be around other siblings who have been through what I have been through. I look forward to Sibling Camp every year because I have made so many close friends there. When we get together it is like not even a day has passed. 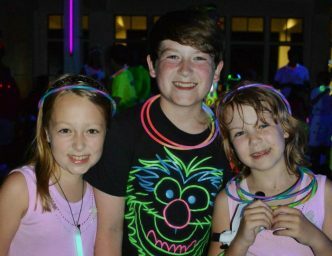 In addition to all the summer camp activities at Lake Martin, SAM hosts functions like teen sibling events and an annual Christmas party, so we get to see each other throughout the year. I am very thankful for Smile-A-Mile!